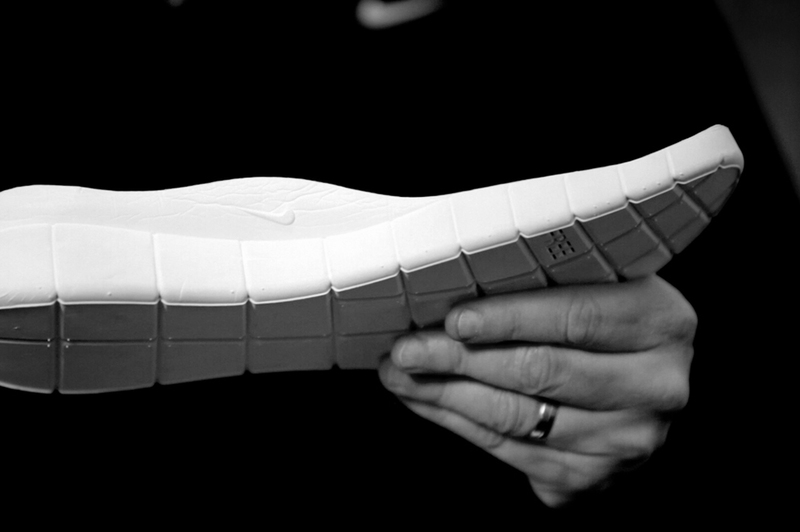 With the Nike Free technology finding itself accepted by popular culture in the last few years and the Free 5.0 delivering the most advanced Free technology to date, we had a chat with the man who designed it all; Tobie Hatfield. For those who aren’t well read in Nike World HQ job positions (most people), let me briefly explain who Tobie Hatfield is and what he does at the Nike Campus. 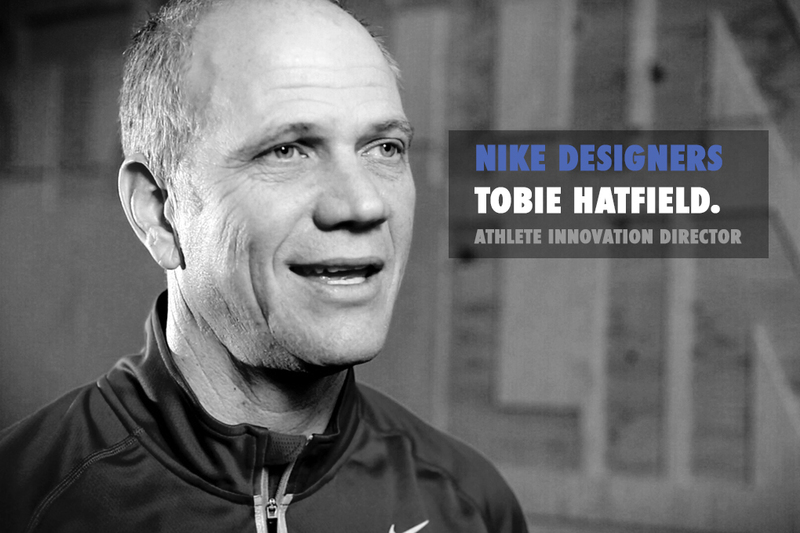 Currently, Tobie is the Athlete Innovation Director at Nike, which essentially means that he is in charge of all of the athletic innovations at Nike – which is pretty much the heart of the brand. Working from the mysterious Innovation Kitchen, Tobie is responsible for one of Nike’s most innovative technological designs that has introduced a whole new mentality of design and product research and development at Nike; Nike Free and natural motion. Here is where the true genius of design comes in, way before the actual process of designing a product; taking this situation and making all of the ends meet in a place that previously hasn’t existed in you mind. That is an artform and a true talent, something that Tobie evidently has as he so calmly approached this situation as an opportunity to push both himself and Nike. One of the other things that stood out when interviewing Tobie was just how dedicated he was to sport over everything. Unlike his colleagues from the Kitchen who we’ve had the privilage of speaking to in the past (Ben Shaffer and Jarrett Reynolds) who are hugely influenced by the likes of architecture and fashion, and in some shape of form still involved with them, Tobie is all about sports and the athlete. Passionately so. 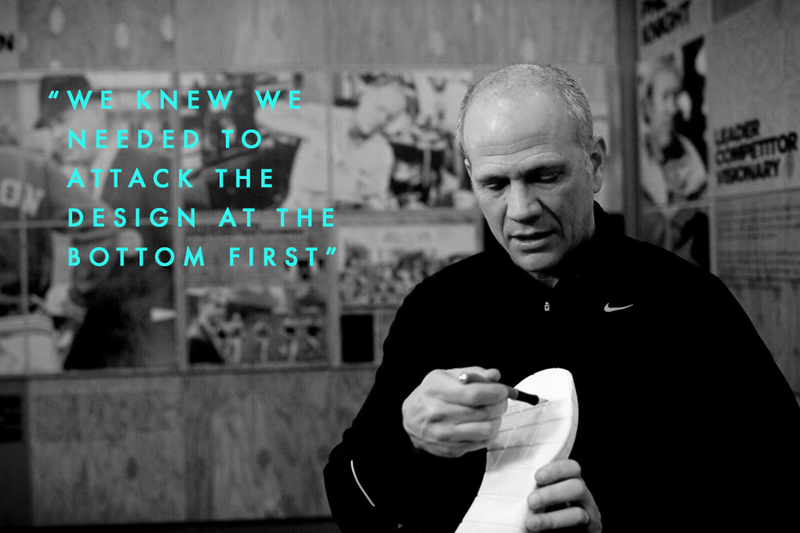 Enjoy the interview and we hope you learn something from this opportunity to once again peak behind the secretive door of the Nike Innovation Kitchen and into the mind of one of their greatest design assets. 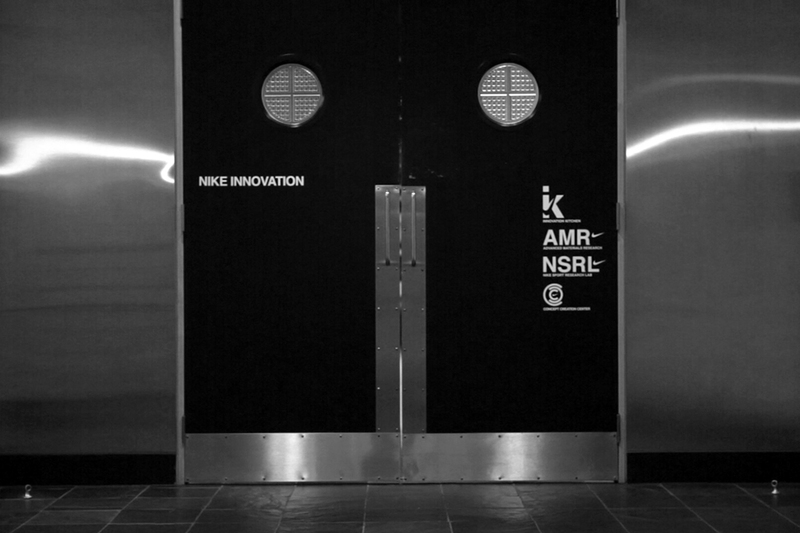 What exactly does your role as Athlete Innovation Director at Nike involve? Well basically I’m here to listen to the athletes. I work with elite athletes, I work with every athlete that you can think of almost and so my role is to look at the future of sports innovation through the voice of the athletes. What inspired you to create Nike Free originally? Well when we were taking to coach Vin Lananna at the Stanford University when he was coaching there back in 2001, he was talking about how his teams were so successful because we asked him “Why are they so successful?” having won several national championships and what have you. And he basically started talking about the health of his athletes and why he thinks that his athletes were healthier and part of the reason was his barefoot training and making their feet stronger and we asked him “Well then, what would you like to do more of?” and he said “I could do more of that, but I’m worried that they’re gonna step on something, step on glass, stub their toe, anything like that.” and that was our moment. We said “Well what if we could give you the best of both worlds? Barefoot training but protection at the same time.” and that pretty much was the genesis, the seed and the idea of Nike Free back in 2001. How exactly do you go about designing a shoe that’s supposed to feel like you’re not wearing a shoe? 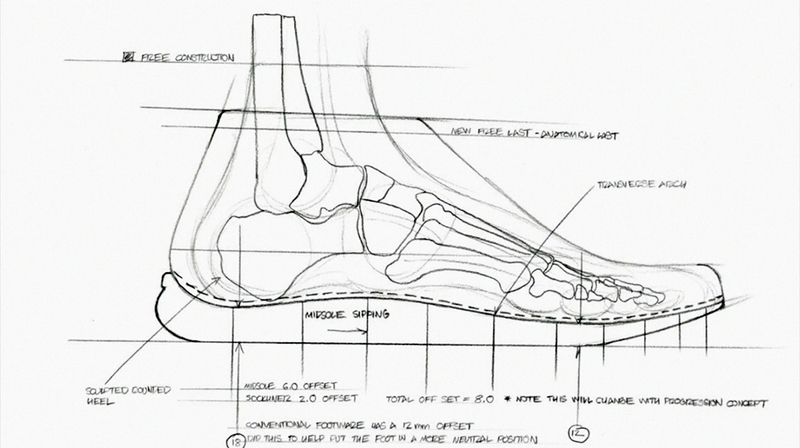 Well in this case we were not gonna design anything until we understood the foot and so our Nike Sports Research Lab did six months of barefoot study and research. Understanding the foot again, completely barefoot, so that we could see it in motion and get some of the data back; flexibility, underfoot pressures, all of that information now was very important because then when we did design something and it prototyped, we could have something to compare back to to see if we were meeting or going towards or being on track of going to barefoot motion in a protective environment. In this case, there was a lot of research in the beginning, then we got that information and when we got that information we knew we needed to attack the design at the bottom first, getting the sole of the shoe to be able to be flexible enough in specific flexible areas, that’s why we did siping, what we call siping or the cuts, in the bottom of the shoe to meet the parameters of barefoot motion. And that’s what lead us to understanding natural motions as a whole, which starts at the foot and works up the chain. 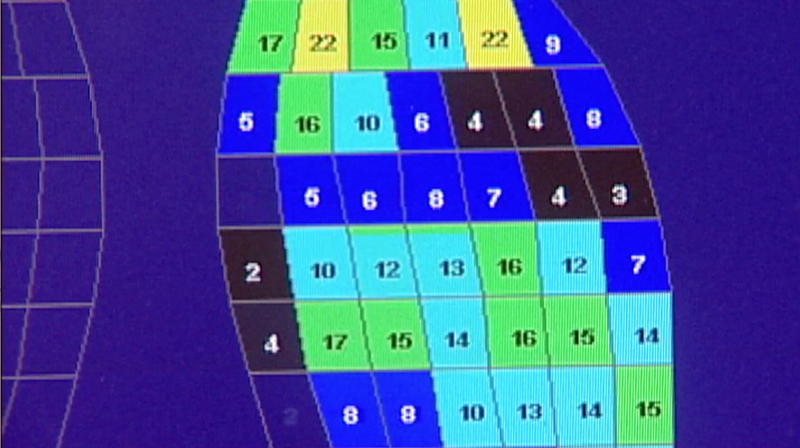 Then we were able to design accordingly with the upper as well to match that or meet that with the sole design, and from there we were very pleased to see when we compared back that that was something that got us the natural motion but yet being protective at the same time. 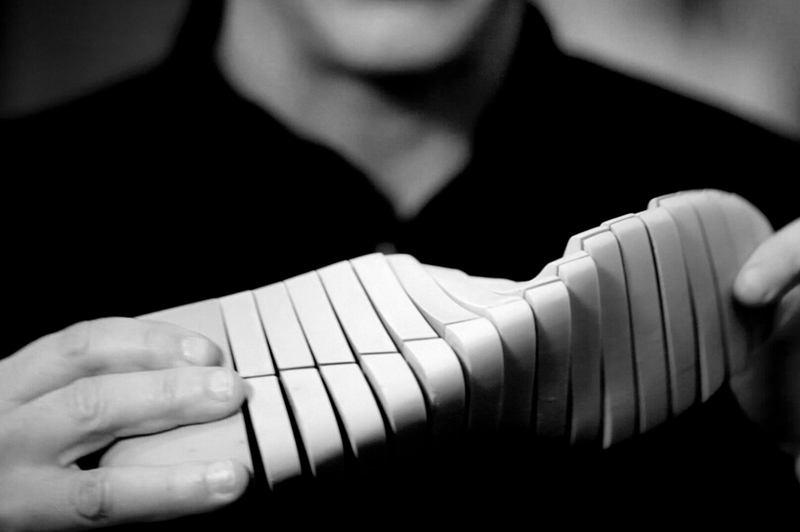 How has the research and development moved forward since 2004 when the Free first launched? We’re trying to be better at some of our siping patterns. We’ve really looked at our siping from when it was launched in 2004. If you put them all on on a table from 2004 to 2013 you’ll see that the siping patterns on the bottom have changed and that’s because we’ve learnt more in our Nike Sports Research Lab to work even better with the foot and to get some of those motions from heel to toe even better. Not only that, but also the perception to improve as well so that it continues to feel more and more natural to the athlete. 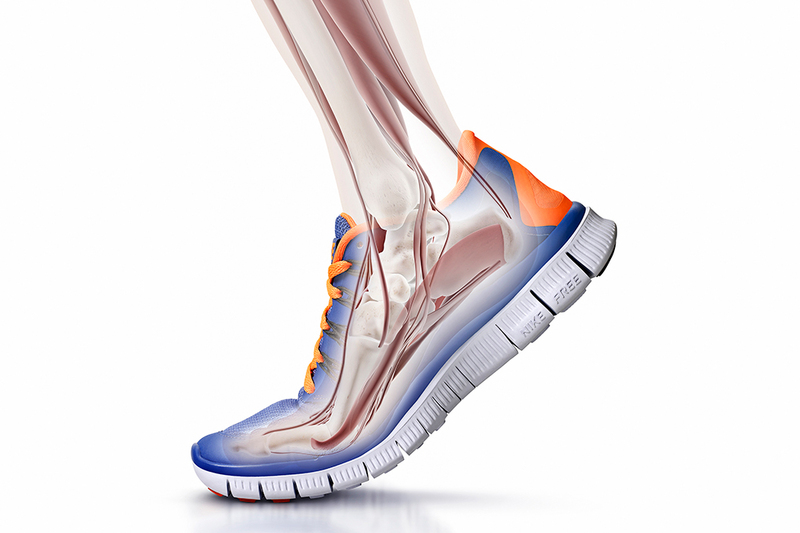 That includes not just the siping and the cuts in the bottom but it also includes upper construction; new materials, new processes, things like FlyWire and adaptive fit that we’ve applied to Nike Free, but also now have applied to all of the rest of our shoes as well. This is obviously a completely sports focused design. How do you feel about the Free’s recent popularity in lifestyle and fashion? I guess that just happens. To me, that’s not my focus where I sit and where we design in the Innovation Kitchen. Eventually, we know that that’s gonna happen. The great thing about Nike Free though is that people can gain benefits from the Nike Free just by basically walking in them as well, they don’t have to necessarily be running in them. It’s also a great way to start to use them anyway and so I’m happy that people are walking in them, even if they maybe bought them because there was a new colour and it was just about the colour, hey, they’re getting the benefits that maybe they didn’t even know they were gonna get. That’s awesome. In general, where do you seek inspiration as a designer? From the voice of the athletes. 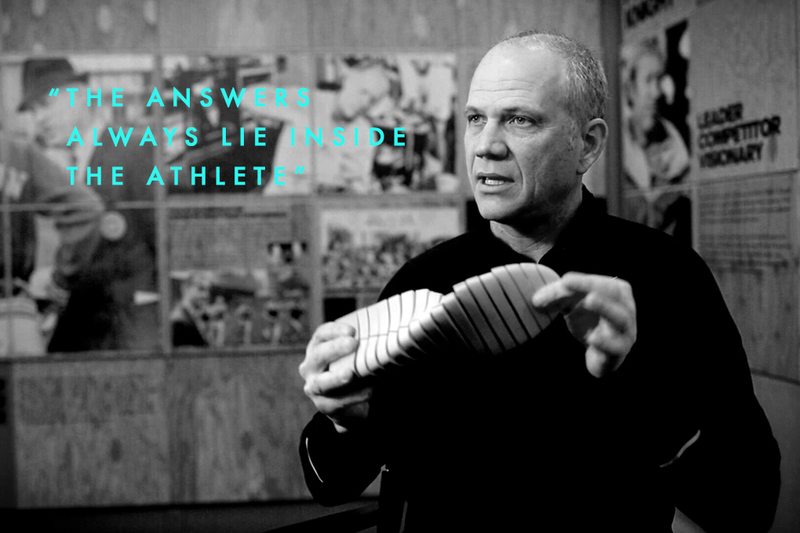 It’s always about, for me, not so much what comes from in me or me being necessarily all that creative, but I like to think that the answers always lie inside the athlete and that it’s my job to get those answers out and to understand them correctly and then to apply that back to a design. So inspiration mostly comes from the athletes. Obviously I’m inspired by other industries as well, other designers who are designing automobiles and furniture and beautiful lines here and there, but because we’re so sport centric, the athlete still has to be our focus point. Our research, our development, our design, our marketing; if that’s a spoked wheel, the centre of that wheel is the athlete, so we can never ever go away from that. That’s how this company was founded back in ’71 with Bill Bowerman and Phil Knight and that’s what we do today and that’s what we’re going to do tomorrow.